Insight Observatory is proud to announce that the Astronomical Telescope for Educational Outreach (ATEO) has achieved first light. Now that the "Great American Solar Eclipse" of 2017 has come and gone, all of our efforts are now back on getting the remote telescope operational. On the morning of August 31, 2017, Insight Observatory's Systems Engineer, Muir Evenden, and I met via Skype and logged into the Raspberry Pi that runs the ATEO remotely. The skies were crystal clear in New Mexico that morning, therefore we thought it was time to attempt getting first light and perhaps an image of a deep-sky object if all went well. 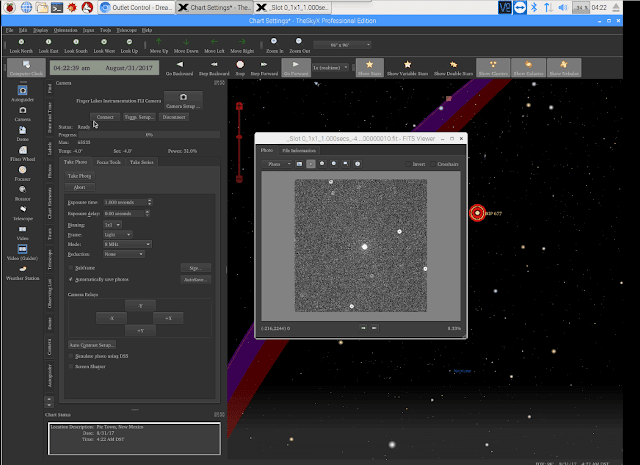 Once we powered up all of the hardware, we launched TheSkyX developed by Software Bisque that controls the 16" f3.5 Dream Astrograph imaging system. After mulling over a few star candidates to slew to, we decided on the bright star Scheat that makes up part of the "Great Square". We took a one-minute exposure that would find the photons of starlight in the image donut shaped due to the telescope being out of focus. We then spent time on focusing the telescope before attempting to image a deep-sky object. Screen Shot of TheSkyX while capturing first light of the star Scheat in the constellation Pegasus. 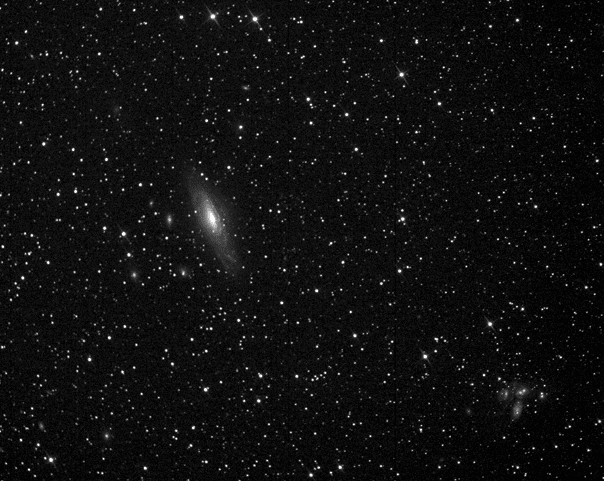 Once focus was acceptable enough for a rough image we decided to image NGC 7331, a spiral galaxy in Pegasus. NGC 7331 (also known as Caldwell 30) is a spiral galaxy about 40 million light-years away in the constellation Pegasus. It was discovered by William Herschel in 1784. NGC 7331 is the brightest member of the NGC 7331 the Deer Lick Galaxy Group. NGC 7331 (also known as Caldwell 30). 60-second exposure taken with the ATEO 16" Dream Astrograph. The Stephan's Quintet group of galaxies can be seen to the lower right of the image. We will be continually testing within the next few days using the FLI color filter wheel that is attached to the telescope for creating color images. If all goes well with the final testing, the ATEO will be ready for educational and public use within the next few weeks.